If you feel you are suffering from Vagabond’s disease also known as Pediculosis corporis, it is crucial to get it accurately diagnosed by a medical expert and obtain the desired medical treatment. There are a few more conditions that resemble Vagabond’s disease. If you wish to know more about Vagabond disease read the below article. What Is A Vagabond Disease? How Do You Get Body Lice? How To Prevent Vagabond Disease/Pediculosis Corporis? 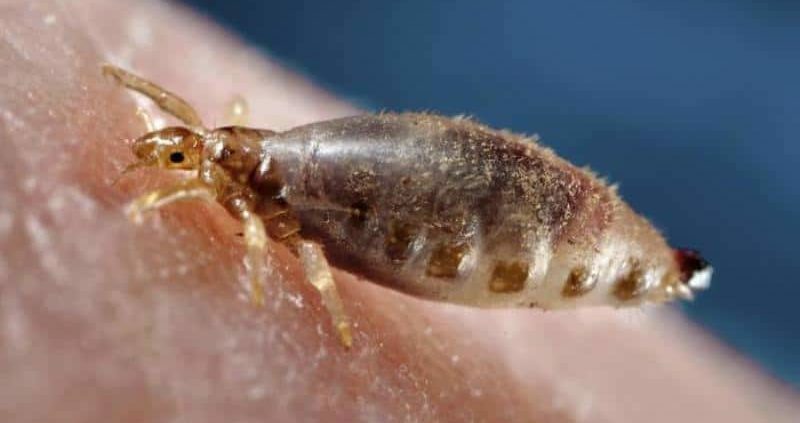 Vagabond disease is a condition in which the body skin gets pigmented by long-term exposure, uncleanliness, and lesions due to the presence of the body lice. The condition is closely related to Pediculosis. Pediculosis is a body infection caused by lice living on the hairy parts of the human body. Lice are small insects that live on human blood, bedding, and clothing. In this condition, the lice infestation can occur in any part of the body. There are three categories of body lice that affect human. First is Capitis, the head lice infestation. Second is corporis type which is also referred as Vagabond’s disease. This one is dangerous as the lice have the ability to lay their eggs in people’s clothing. The third is Pubis infestations, the pubic area infestation. Vagabond’s disease is caused by Phthirus pubis or crab louse. It can be diagnosed by subcutaneous hemorrhages. This condition affects majorly people who are unhygienic and homeless. The lice infestation occurs when a person does not wash or change their clothing regularly. The disease does not show at once but with time it starts showing its symptoms. In this condition, the lice lay eggs on or near the seams of clothing as they get a place to sit on. Moreoff, the lice can also spread via sharing of towels, beds, clothing, undergarments. These lice can only be alive for a very short time when away from humidity and warmth of the body. The condition can be treated by changing the clothing and beddings. Washing your clothes in hot water and drying them in a hot dryer destroys the eggs. This practice will eventually treat the disease. The main symptom is Intense itching in the affected areas. This itching is not caused by the louse bite but by the insect’s saliva that irritates the skin. The itching becomes more intense after 3-4 weeks of lice infestation. The continuous scratching may cause skin abrasion or excoriations. Rarely, it will cause human skin discoloration on the impacted site. Moreoff, constant scratching may also make the skin raw and more susceptible to secondary bacterial infections. The bites caused by lice are not visible, you can see them only upon close inspection. 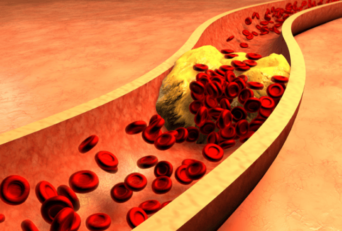 Sometimes, the disease carries few other diseases like typhus and trench fever. When other diseases are accompanied by it, that makes it more dangerous. 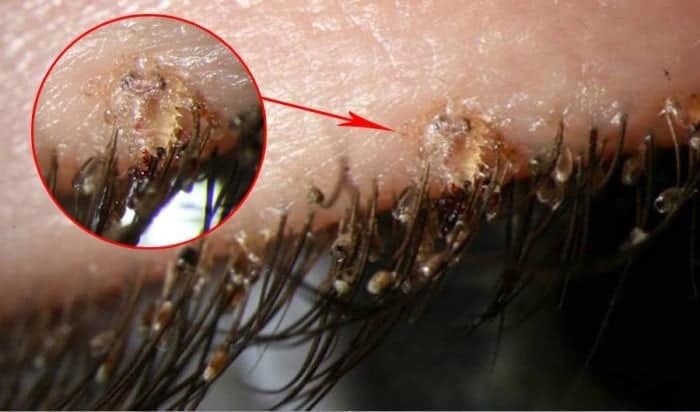 Female lice are often found on the human body. It lays an egg on the clothing at a specific area that is in close proximity to the skin. They grow on the body due to body warmth and humidity. The body heat allows the lice to incubate with ease and come out in week’s time. One single female egg can produce 400 or even more eggs during its life tenure in the human body. This body louse on an average can produce live eggs at a rate of 10 eggs per day. For hatching, the louse eggs need 75-100 degree temperature. The normal body temperature is thus optimal for its hatching and growth and that how they multiply in the human body. The growing period of this lice is 9 days when staying in close proximity to the body. A person who does not wear the clothes with eggs for several weeks may need to take longer to grow into the adult stage. For the lice, the best home is the cloth. So, a person who is not changing clothes regularly, their clothes can be a house of lice. The body lice are generally transmitted by people living in crowded places as they don’t have standard hygiene level, and they don’t change clothes regularly. This is the reason why the Vagabond disease is most common in homeless people and victims of natural calamities or war. The disease won’t fly and spread to other but it might spread when living in close proximity or direct contact with the affected people. More off, sharing clothing or beddings of infected individuals can also cause the disease. To prevent the condition, stay away from the clothing and beddings of the infected person. One should also prevent sexual contact with the affected individual. The interesting fact is that body lice have the ability to live separately from their human host even when a person keeps on changing his clothes from time to time. Thus, one should not live in proximity to the affected people until they get properly treated. Body lice cannot go inside your body making a tunnel. However, these lice remain attached to the body hair and stay on the clothes of the infected person. 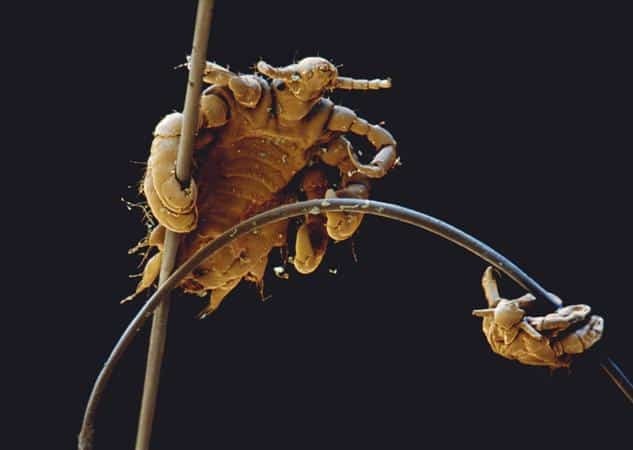 There are more than 10 active alive lice present every time on the skin of an infected person. The clothes of the infected person may contain hundreds of lice. A doctor can easily diagnose vagabond disease by close inspection. If proper treatment is not done, the disease can progress rapidly and may give rise to some secondary infections too. It is because the body lice keep multiplying in unlimited duration. Apart from treating the ongoing condition certain measures are also to be undertaken to prevent their spread. Take a proper bath from the head to toe using good body shampoo. Rub a bit more on the hairy body area. Discard the clothing and beddings infected with lice. Alternatively, you can also wash the clothes with hot water and dry them at high temperature to kill the lice on them. Prefer opting for the dry cleaning process, in which the water should go up to 130 degrees. It helps to kill the eggs of these lice. If you are someone with too many hairs on your body, go for a special medical treatment to completely eliminate the body lice. Sometimes home remedies work wonder with Vagabond disease. However, it doesn’t work the same for everyone. Neem has powerful medicinal values and is an excellent antibacterial and antiseptic agents. You can use neem leaves, neem oil, or neem shampoo for the remedy as per the availability. For the remedy, take around 300grams of neem leaves and wash them once. Boil these leaves in 2 liters of water. Wash it for god 20-30minutes so that all the medicinal properties gest absorbed in the water. Now, remove the leaves and add this water to your bathing water. Soak your body in this water for about half an hour. Alternatively, you can even prepare a paste out of neem leaves. Apply the paste all over your body and let it dry. Once dry wash it off thoroughly. For best results carry out the remedy regularly until the lice get completely removed. If you don’t have access to neem leaves, buy pure neem oil or neem shampoo. Apply them all over your body regularly until you get relief. Tea tree oil is a volatile essential oil known to treat several skin related issues. The oil fight well against several strains of bacteria, fungi, and yeast. It is even used in the pharmaceutical industry to heal various skin conditions due to its therapeutic properties. For the remedy, mix tea tree oil along with water in a ratio of 1:2. Apply the prepared oil all over your body. Let the oil sit on your body. No need to wash the oil as it dries off on its own without making your body oily. Prefer carrying out the remedy twice a day for faster and better results. You can even disinfectant your clothes with tea tree oil. Fenugreek seeds use to have antiseptic, antiviral, antifungal and antibacterial properties. They are effective in treating body infections. For the remedy, take about 200grams of fenugreek seeds. Soak these seeds in water and keep it overnight. This will make them soft. Next morning, make a paste of the soaked seeds.Apply the paste all over your body. Let it sit for about 30 minutes and then wash it off with water. The remedy does wonder when carried out regularly. 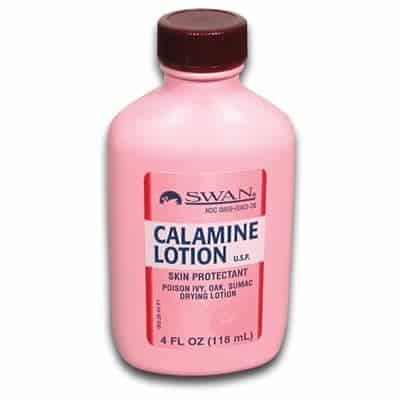 Calamine lotion won’t work to eliminate the lice completely but would absolutely give relief from the underlying symptoms. One can control or alleviate the itching caused by the disease. Vagabond disease causes severe itching which can lead to rashes, cuts, and abrasions. These lesions can be a path for the bacterias to enter the body. So, preventing it another way of stopping disease progression. Applying calamine lotion to the affected area of the body. Let it dry. You can do this as many times as you want. Listerine is a good antiseptic that effectively kills bacteria. People generally use it is as a mouthwash. It contains eucalyptol, alcohol, thymol, menthol, and methyl salicylate, which help control the body lice infestation. For the remedy, apply the Listerine all over your body. Let it sit, no need to wash your body as it will allow it do its work. You can carry out the remedy twice a day for best results. Homemade oil work against body lice as they are completely pure and natural. The medicated oil available in stores are full of chemical and have a low purity level so they might not be very effective in curing the condition. For the remedy, take half a cup of almond oil, one tablespoon of lavender oil(optional), and one tablespoon of eucalyptus oil. Apply this oil thoroughly all over your body in such a way that it goes inside the hair follicles. Leave it overnight. This will give the oil enough time to act on the lice. Next morning, wash off your body. Perform it daily to get good results. Hot water shower is another way to kill the lice and its egg from the surface of the body. You can even add bath salts in your bathing water for refreshing effect. Soak yourself in hot water for around 20 minutes. After finishing your bath, try combing your body hair so that the lice should come out of the body hair. It is the best effortless remedy to get rid of body lice. Vagabond disease cause intolerable itching. Scratching continually may lead skin cut and abrasions. They can also be a risk to other secondary infections. To reduce this itching, vinegar is an effective agent. It provides quick relief to skin irritation. Moreoff, the vinegar solution can kill lice also as it has acidic nature. For the remedy, mix coconut oil and vinegar in a ration of 2:1. Apply the solution all over your body. You can leave the solution as it or you can even wash it as per your choice. Prefer leaving it as the solution would get more time to do its work. We have to mix vinegar with coconut oil as vinegar alone can harm the skin. You can also use almond oil, vegetable oil, olive oil or any other nourishing oil as per availability and choice. The remedy shows the results after prolonged use. Coconut milk contains a very smooth oil. Coconut milk can stick to the body of lice. This won’t allow the lice to breathe and eventually they die of suffocation. The remedy not only works for lice but also its egg. It is effective to kill the lice eggs too. For the remedy, mix a half cup of coconut milk with a bit of vinegar. Massage it n your body thoroughly. Leave it for 30 minutes. Wash it off with warm water and normal shampoo. Vagabond disease is not a common disease. Nowadays, it less prevalent and is seen mostly in homeless people. Once you suffer from it, it is very crucial to treat the disease. It is because it can give rise to other secondary infections. What Happens In The Body While You’re Asleep? Why Shouldn’t You Sleep By Placing Head Towards North Direction? How To Get Rid Of Split Ends Fast Naturally At Home?